Following the extraordinary success of the 1st Arabian Horse Supporters Ball at the Mere Resort and Spa, Knutsford, UK, last year, a second event was held on Saturday 15 October. The brainchild of Jayne Armstrong – who is not only a breeder of Arabian horses but also very active in running shows including the British Arabian Championships and helping organise the British National Championships – this year’s event saw almost 300 people descend on the Mere to enjoy an amazing night, celebrating the end of a great year and honouring people and horses throughout the evening. To win awards, people had to be nominated and then all ticket holders were able to vote for who they wanted to win. The evening’s host, the brilliant John Norcott, was on hand to provide entertainment throughout the night. 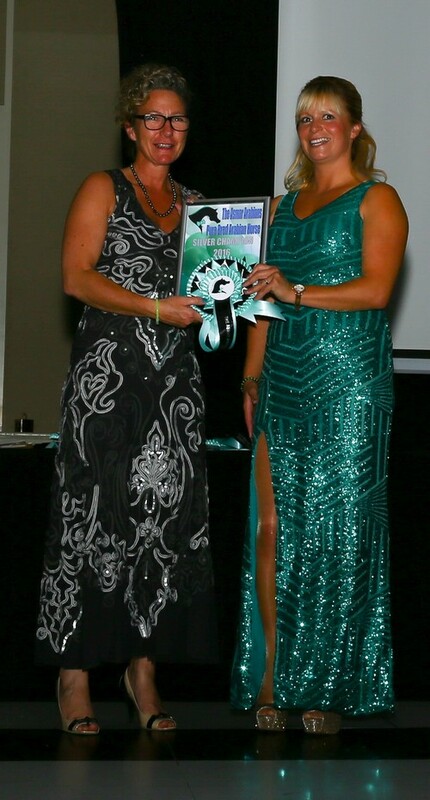 This year’s theme was mint green, something that was embraced by many, as evidenced in the photographs! Jacky Sidebottom-Every with Silver Arabian Horse Young Handler Amelia Zebdee. Established in 1982, Glossop Cartons is one of the UK’s leading manufacturers of carton board packaging, leading the way in the digital carton market and producing quality packaging solutions. They said: “we are delighted to sponsor this award and supply the ball with personalised cartons tonight!” The awarded was presented by Jacky Sidebottom-Every. Michelle Salmon has been breeding and showing Arabians for 20 years as Iisis Arabians. After a short break to have her family, she has been breeding Welsh Sections As. But the desire to get back in the saddle has proved too strong and no other breed than the Arabian would do. Michelle realises that the Arabian horse should have ridden potential. She believes the key to this is through talented young riders and we should support and encourage them in every way. Michelle was present to give the award. Aziza Arabians founded in 1993 is a mother/daughter partnership. Their breeding programme has a strong focus on breeding black but quality is most important. With five generations already under their belts the future looks bright and there may be the appearance of a part-bred further down the line as Francesca began her life with horses on part-bred show ponies. The quality of the nominees in this category showcases some of the best part-bred’s on the current show scene. Both Pat Hannay and her daughter, Francesca, were present to give the award. 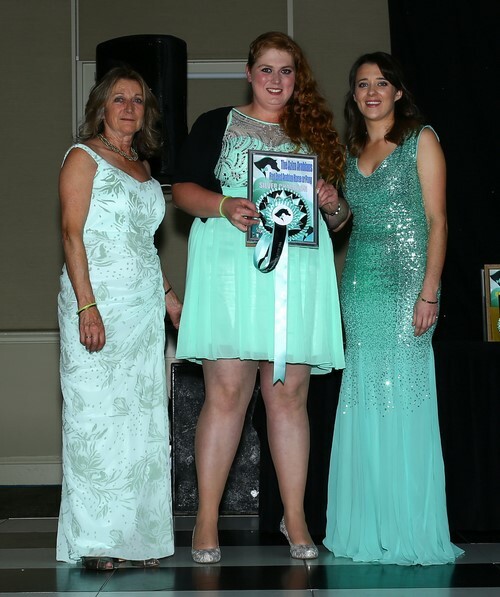 Pat Hannay (left) and Francesca Hannay (right) present Emily Cooper with the Gold Award for Part-bred Arabian Horse or Pony for Emily’s homebred Moor than Handsome. I believe having a Brand Ambassador supporting and championing the Arabian breeds are so important to all of us. All of us involved at Clifton Hall Livery Stables are extremely proud and honoured to be sponsoring this award tonight. The awards were presented by Stephanie Zebedee. This category had a lot of nominations and was very hotly contested, with only five votes splitting the first four places. 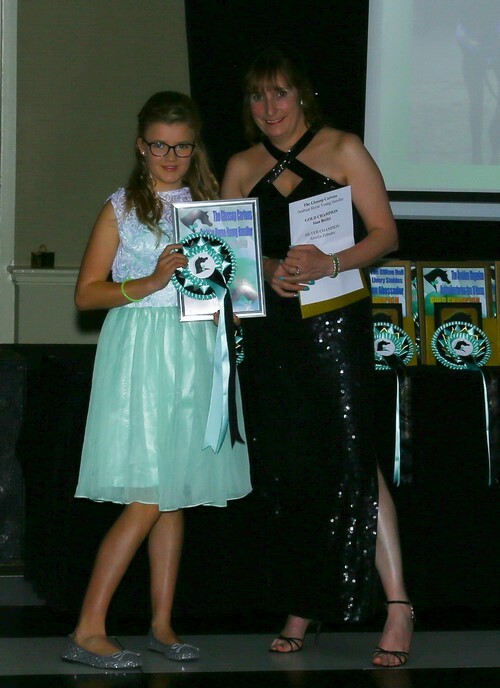 Madeleine Sutherland (right) presents Katie Gore with the Gold Arabian Breeder (less than 10 horses) Award. The Arabian Magazine is one of the world’s premier publications. Produced from the UK, this award winning publication has just evolved to include a dedicated breeders magazine. 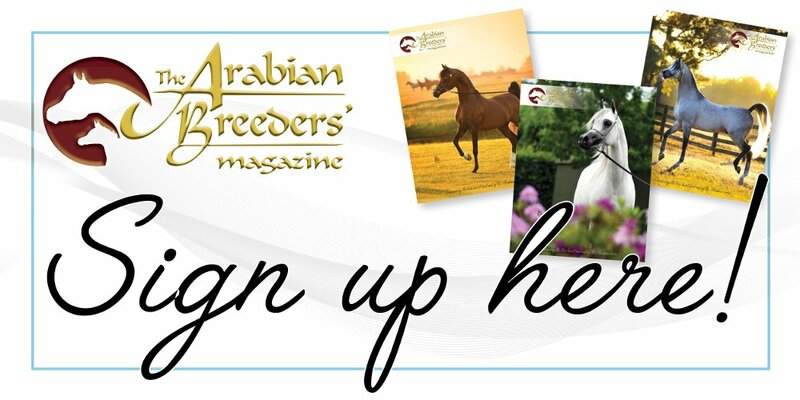 Owned by Samantha Mattocks, The Arabian Magazine captures the true heart of the Arabian horse. Samantha is pleased to sponsor this award, with Madeleine Sutherland to present on her behalf. Amanda Holloway owns and runs Asmar Arabians and Training Centre in Somerset. 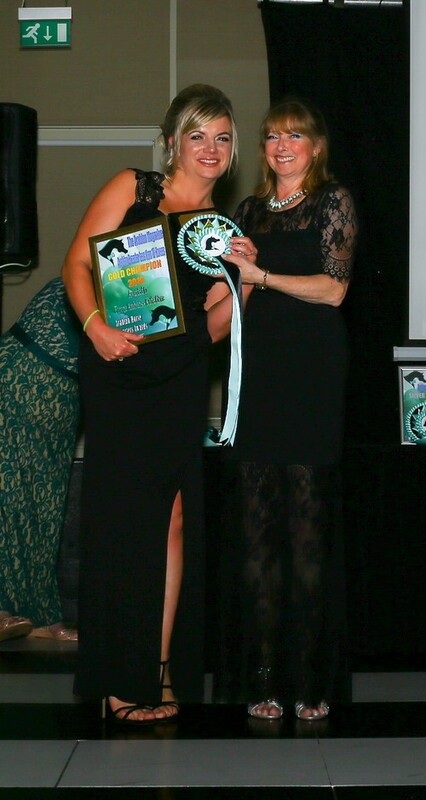 Amanda is sponsoring this award to give the pure-bred Arabian horse recognition of its beauty and substance, and she will present the award herself. With nine amazing horses nominated, this was a very tough category. Amanda Holloway presents Rod and Kim Jones with the Gold Award for Pure-bred Arabian Horse for their stallion, Master Design. “We wanted to sponsor the Arabian show rider because of the importance of the ridden Arabian,” says Simon Constable, owner of this successful practice. “We are a large purely Equine veterinary practice in the North West with hospitalisation and operating facilities.” Simon is an advanced Practitioner in Orthopaedics although they cover all aspects of veterinary care. Simon presented the award. Based in Suffolk, this family run stud is in its third generation. 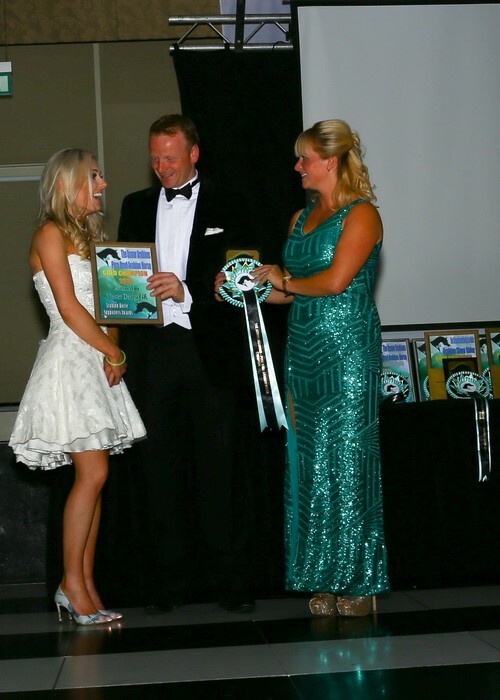 The awards were presented by Stacey Haworth. 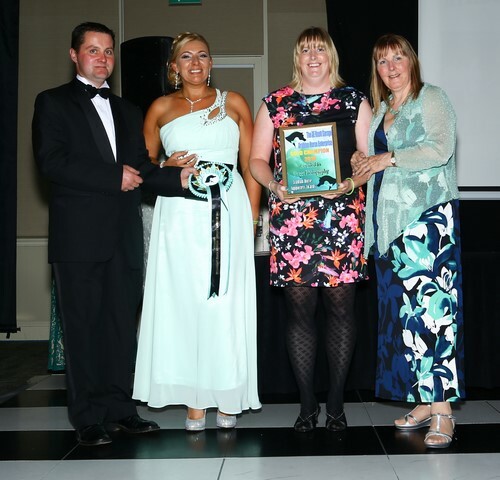 Stacey Howarth (left) presents Lindsey Dean the Gold Award for Arabian Breeder (more than 10 horses), with host John Norcott centre. Jaymie Knott presents the Arabian Horse Enterprise to Natalie and Marilyn Sweet of Sweet Photography. A family business based in Denton, established in 1972, doing all mechanical repairs including horse box repairs, air conditioning service, MOT service and HGV booking. The awards were presented by Jaymie Knott. 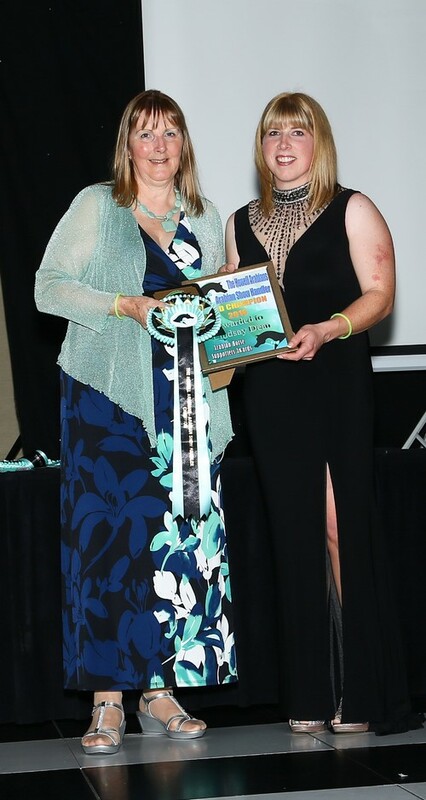 Marilyn Sweet (left) presented Lindsey Dean with the Gold Arabian Show Handler Award. Caroline Reid of AV Arabians knows a charismatic Arabian when she sees one. 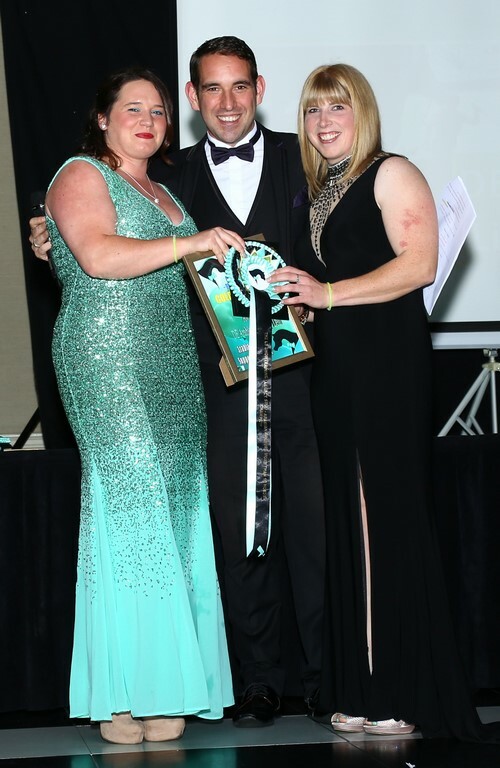 She has also bred some stunning horses, which is why she wanted to sponsor this award, presented on the night by Susan McArthur. 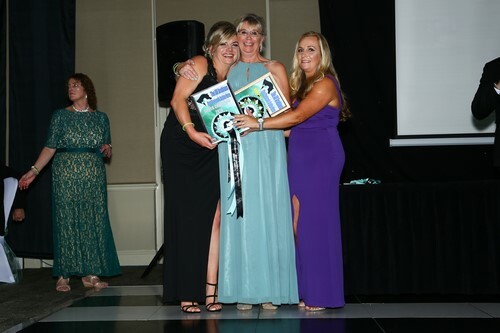 Susan McArthur with the winners of the Most Charismatic Arabian Horse Award – Silver winner Katie Gore (left) and Gold winner Marianne Smith (centre) for Psy Dream. Natalie has been a ring steward for a number of years and as such, she sees how important it is to have the right team behind you in the ring. She is delighted to sponsor this award for Best Groom/Assistant. This was a very hotly-contested award, with 12 nominations. Natalie was on hand herself to present the awards. Samantha Beeley receives the Silver Award for Pure-bred Arabian Horse from Amanda Holloway for Prince Psyche. With the awards all presented and dinner enjoyed, it was time for dancing. John Norcott continued to entertain throughout the evening with his very popular style of being a compère and singer, all rolled into one. Huge congratulations to Jayne Armstrong and her team for putting on such a great night. The 3rd Arabian Horse Supporters Ball has been provisionally booked for Saturday 14 October 2017 – watch this space! 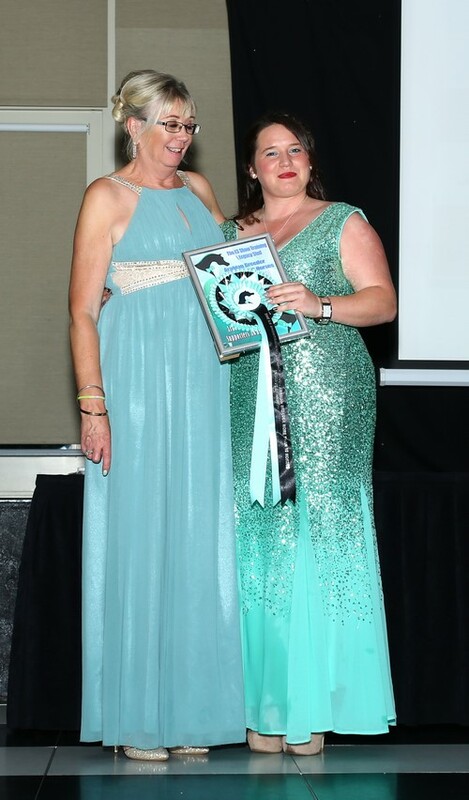 Marianne Smith from Armada Arabians receives the Silver Arabian Breeder (more than 10 horses) Award from Stacey Howarth. 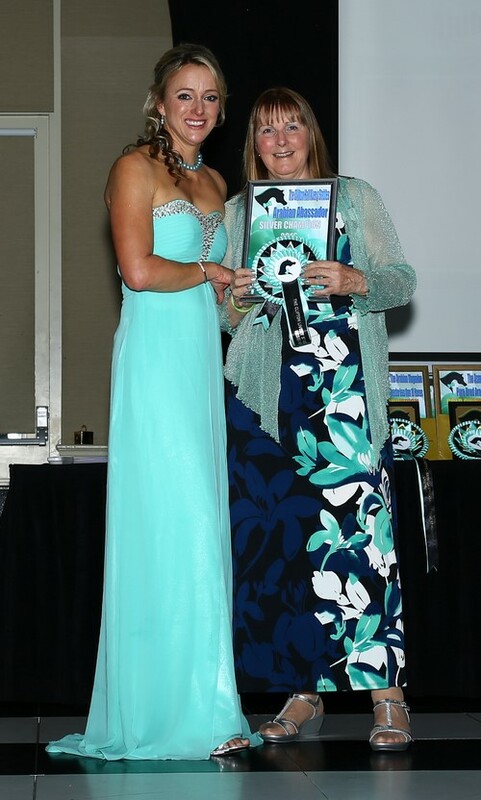 Stephanie Zebedee presents Marilyn Sweet with the Silver Award for Arabian Ambassador. Francesca and Pat Hannay receive their Silver Award for the Arabian Breeder (less than 10 horses) from Madeleine Sutherland. 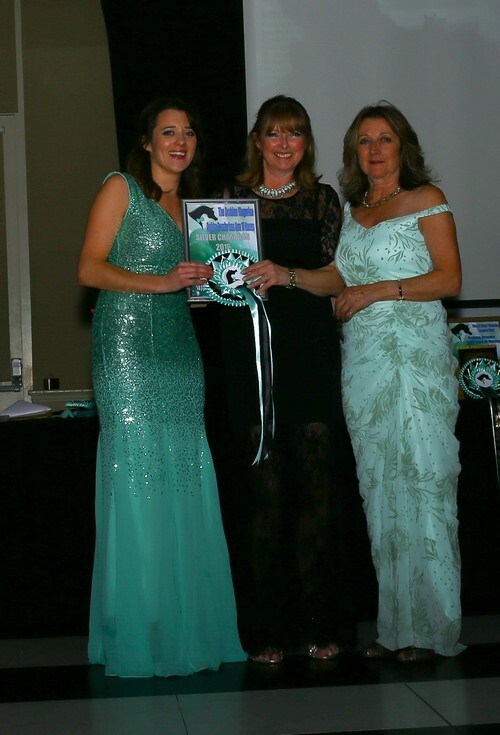 Pat Hannay (left) and Francesca Hannay (right) present Emma Didlick with the Silver Award for Part-bred Arabian Horse or Pony for her gelding, Chapelfield Ladies Man. Previous articleRed Dragon Festival of Endurance – the endurance ‘end-of-season’ party!